It came in a split second and it resonated in the pit of DDC's stomach. It's a feeling that he and the rest of the Green and White faithful have become all too familiar with. A centering pass from the sideboards deflected off of UND junior captain Gage Ausmus' stick and bled through netminder Cam Johnson's five hole and to the back of the net. Sixteen years of heart-wrenching memories popped to the forefront of DDC's mind. A collective uneasiness could be felt from Tampa, to the Twin Cities, to Grand Forks and back. Nathan Gerbe. Shawn Hunwick. 0.6. Jack Eichel. "Not again," DDC mumbled to himself under his breath. With nine minutes left to go in the national semifinals, UND was on the ropes as Denver knotted the game at 2-2. While the narrative of the past 16 years of disappointments flooded the minds of the fans, first-year head coach Brad Berry never lost faith in his team. The sentiment was clear. Not this year. Not this team. They've come too far, fought too hard. It's time for history to change. It's time for the narrative to change. Denver continued to jump. Johnson continued to come up large in the UND net. Then, in less than four seconds, the haunting narrative died. Exactly one minute to go with a faceoff in the Denver zone. Brock Boeser won the draw. Drake Caggiula fired the puck that hit traffic in the slot. Boeser gathered the bounce and fired a backhander towards the net. Nick Schmaltz snagged the shot, stayed on his backhand --- and buried it. The sophomore forward not only buried the puck to the back of the net ... he buried the narrative. An empty netter later, UND was moving on to the national championship game with a 4-2 and the heart-wrenching feeling from Tampa, to the Twin Cities, to Grand Forks and back had been replaced with elation. With the 16-year run of Frozen Four heartaches shattered, in the post-game press conference, the Green and White had already turned the page. When asked about his feeling of getting the proverbial national semifinal monkey off their back, the senior Caggiula noted that their job is not over. "When you first step on the University of North Dakota campus, the first thing you talk about is winning a national championship. For the first three years, we came up short and as a senior class we want to leave this program with a national championship. We're one step closer, there. We're going to get ready for Saturday and hopefully win the national championship we've been working four years for." Two teams are left. Quinnipiac, the No. 1 overall seed in the NCAA tournament, is waiting. With a 3-2 victory over perennial power Boston College in the first semifinal, the Bobcats are looking to write a narrative of their own. 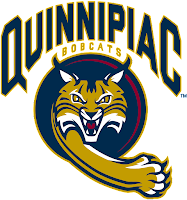 Quinnipiac is a relative infant to the Frozen Four stage, having made the national championship final just one other time, losing to Yale in 2013, but the Bobcats are looking to make their permanent mark on men's college hockey. The ECAC champion Bobcats have been at or near the top of the national ranking all season, having lost just three times. They, like North Dakota, have big aspirations on Saturday night. Who will be the team to check that final box of season-long goals and hoist the national championship? North Dakota vs. Quinnipiac -- 7 p.m.
Will it be No. 1 for Quinnipiac to cap off a dominant season or will it be No. 8, the long-awaited green banner to hang from the Ralph Engelstad Arena rafters for North Dakota? Let's get one thing straight. Saturday's title game is featuring the two best college hockey teams in the land. This isn't because they are in the title game, it's because these two teams have shown all season that they belong on this stage. After multiple years of dazzling runs by relative underdog teams like Minnesota Duluth, Yale, Union and Providence, these two teams are the best of the best. Quinnipiac is dynamic, fast, incredibly structured and very talented in net. Again, this team hasn't just magically lost just three games all season. The Bobcats were relentless against BC in the semifinals and created their goals by flat out outworking the Eagles. 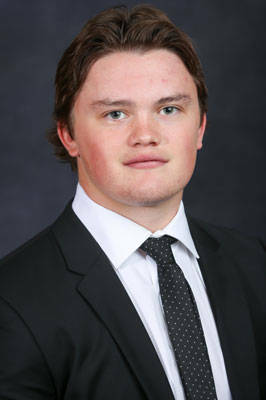 Those superlatives are a mirror image of UND. Each team has the ability to shut their opponent down and bury big-time, clutch goals. Both teams look to have a key junior forward either out or slowed on Saturday night. QU junior Hobey Baker finalist Sam Anas battled off a shoulder injury in the ECAC tournament and played through the regionals, but came off the ice in the first period against BC and only came back in a limited role the rest of the way. While he appears ready to play, Anas is nowhere near 100%. On the other bench, UND junior Luke Johnson collided with a teammate early on in the game on Thursday and never returned to action. He is most likely out for the title game. For both QU and UND, it's next man up. With these two teams as about even as can possibly be, what will be the difference? Both teams are dominant in both zones. QU has the better power play, but UND has the better penalty kill. Both teams have Mike Richter finalist goaltenders. The media has echoed the difference, in DDC's mind. The X-Factor looks to be talent. Before the average reader fills my comment board, please bear with DDC, here. QU has loads of talent, but the Green and White have just a little bit more. All season long, UND fans have been treated to a team that has that "It-Factor." That extra special, dynamic, game-breaking, cold-blooded piece that DDC has talked about from the start of the season that separates them from the rest of the pack. It's the tic-tic-tic-tac-toe goal against Miami. It's Nick Schmaltz and Brock Boeser (:50 in) toe drags. It's Drake Caggiula's windmill game winner. It's Austin Poganski's go-to move. And for the first time in 16 years, that will make the difference as North Dakota takes home the title. 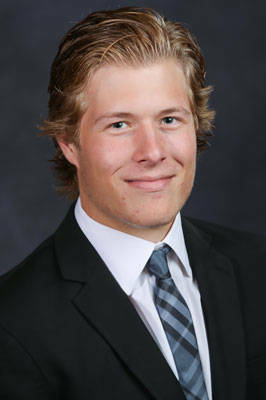 The National Championship game-breaker: Freshman Forward, Brock Boeser. This kid has been special. And as he has so many times this year, Boeser will do it again, scoring UND's eventual national championship-winning goal in the third period. UND RAISES IT -- THEIR FIRST NATIONAL CHAMPIONSHIP SINCE 2000, 4-2. Both games on ESPN 2. Semifinal No. 1 -- Boston College vs. Quinnipiac, 4 p.m.
Semifinal No. 2 -- Denver vs. North Dakota, 7:30 p.m. The ice is fresh, the teams are rested and the hype is high. It's win or go home. Boston College versus Quinnipiac. Denver versus North Dakota. 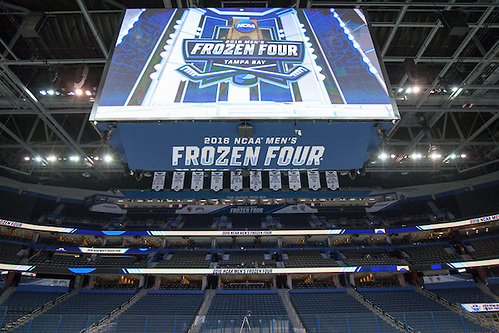 It's time for the Frozen Four from Amalie Arena in Tampa. In semifinal No. 1, the top seeded Bobcats are looking to permanently stamp their names on the college hockey landscape. The Eagles are trying to continue their decade plus of dominance and advance to the title game for the seventh time since 2001. In semifinal No. 2, legendary rivals Denver and UND faceoff for the sixth time on the year. Thursday's contest is by far the biggest. Can the Green and White snap out of their national semifinal funk and head to the title game? Can the Pioneers upend their NCHC foe and advance to the championship for the first time since 2005? DDC has delved into both Thursday semifinals and is ready to give you his picks as to who will move on to Saturday's national championship game. To say these two teams are evenly matched statistically is nothing short of an understatement. Both are in the top 5 in scoring offense and top 7 in scoring defense. Both sport top 9 power plays and top 5 penalty kills. Both have game-breaking goaltenders that are near the top of the stats pile. Both are undefeated on the season when leading after two periods. 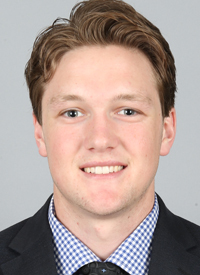 While QU Michael Garteig is certainly a solid netminder, Boston College goaltender Thatcher Demko is a Hobey Baker Hat Trick and Mike Richter finalist and with his huge size and excellent mobility, is an absolute force. Demko has a ridiculous 10 shutouts on the year and gives the Eagles the slight edge in the nets. He will need to keep that going against the Bobcats if BC plans on playing on Saturday night. So, where does the advantage lie? As it often does come playoff time, DDC sees this game won with special teams as it's all but a toss up 5-on-5 and one stat stood out most to DDC when looking at this matchup -- BC is fifth in the country in penalty minutes, averaging 14.4 per game. Despite that high number of PIMs, the Eagles are fourth in the NCAA in penalty kill. On the other side, Quinnipiac has the fourth-best power play. This is where DDC thinks the Bobcats capitalize. QU junior forward Sam Anas and senior forward Travis St. Denis have been game changers this season with the extra man as the pair is tied for second nationally with 10 power play goals a piece. DDC sees one of these two potting a big-time extra man goal in a big-time spot to move the Bobcats on to Saturday. Semifinal No. 1's game breaker: Quinnipaic forward, Sam Anas. Look for the dynamic forward to net the game winner on the power play late. QUINNIPIAC EDGES BOSTON COLLEGE, 4-3. Hold on one second. DDC needs a Xanax. Ok, thanks. Let's make a pick. DDC noted in his preview of this game that the rivalry is a mere side note, but the familiarity of these two teams, particularly in 2015-16, is very important. 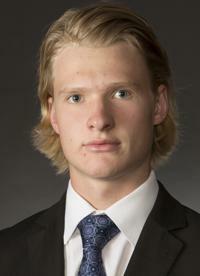 Denver knows UND is loaded offensively and sports a dynamic D-corps that is capable of taking over a game. The Green and White knows the Pioneers are tremendous on the rush and have a top line that can score with anyone in the country. So, much like in the first semifinal between QU and BC, where does the advantage lie? DDC believes it's in the line matchups. North Dakota has the advantage of the last change being the higher seed and this has proved incredibly important for the Green and White down the stretch. Throwing out the Frozen Faceoff 1-1 tie, in the other four contests between the two this season, the team with the last change got home sweeps. When UND swept Denver in Grand Forks in December, the Green and White were able to pair their top 4 defensemen against DU's top line. Then, when the Pioneers got their sweep of UND in Colorado in February, the newly minted Pacific Rim line of Danton Heinen, Dylan Gambrell and Trevor Moore got good matchups and took advantage. With the last change on Thursday, UND will have the opportunity to group their top D-men and their "Heavy Line" of Luke Johnson, Rhett Gardner and Austin Poganski against DU's top line. The Heavy Line was the difference in the Midwest Regional as the trio went to work with a monster forecheck against Northeastern's top forwards and the vaunted CCM Line of Michigan that denied time and space. With the Heavy Line occupying the time of DU's Pacific Rim, UND's CBS line of Drake Caggiula, Brock Boeser and Nick Schmaltz should have more opportunities to create and pace the North Dakota attack. If UND can lock it down defensively and get solid netminding from Cam Johnson like they did in Cincinnati, they should have plenty enough scoring to move on. Semifinal No. 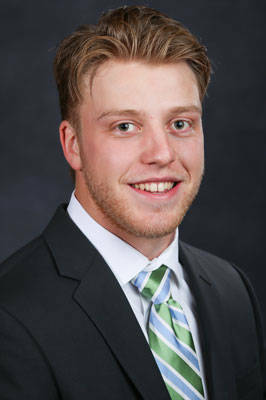 2's game breaker: UND forward, Drake Caggiula. The senior has had a penchant for big goals in his career and DDC sees Caggiula netting the Green and White's fourth goal to put away the Pioneers. NORTH DAKOTA SHAKES OFF THEIR NATIONAL SEMIFINAL STRUGGLES AND BEATS DU, 5-2. There you have it. Who will be left standing after the semis? Check back later to see who's moving on and who's going home. Thanks for reading. Semifinal No. 1 -- Boston College vs. Quinnipiac -- 4 p.m.
Semifinal No. 1 -- Denver vs. North Dakota -- 7:30 p.m. The rivalry between UND and Denver spans 66 years and 275 games. It's a rivalry of conference tussles, head coaching antics, controversial injuries and NCAA tournament and Frozen Four battles. And in the 2015-16 season, the Green and White and the Pioneers have done nothing to settle their legendary rivalry, battling to a 2-2-1 record, with each team sweeping the other on home ice and slugging out a tie in the NCHC Frozen Faceoff third place game. With all of that said, the rivalry between UND and Denver is nothing more than a side note on Thursday night. This game is all about one matter -- making it to Saturday's national championship game. For the 276th time and the sixth this season, it's North Dakota versus Denver. Who will move on and who will see their season end? Here's a look at Frozen Four semifinal No. 2 from Amalie Arena in Tampa with a trip to the national title game on the line in DDC's "Who? What? How?" breakdown. So. F, Danton Heinen, 20 goals, 28 assists -- 48 points; Fr. F, Dylan Gambrell, 17g, 30a -- 47 pts (3rd in NCAA in rookie points per game, 1.18); Jr. F, Trevor Moore, 11g, 33a (7th in NCAA in assists per game, .85) -- 44 pts; Jr. D, Will Butcher, 8g, 23a -- 31 pts; Sr. F, Quentin Shore, 13g, 15a -- 28 pts; So. 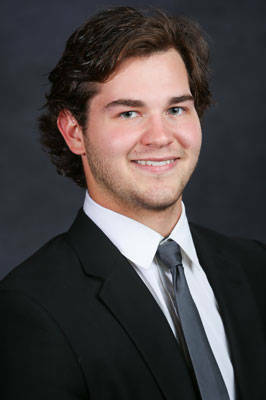 G, Tanner Jaillet, 17-4-5, 2.25 goals against average, .923 save percentage. Fr. F, Brock Boeser, 26g (2nd in NCAA in rookie goals, 4th overall in NCAA), 28a -- 54 pts (2nd in NCAA in rookie scoring, T-5th overall); Sr. F, Drake Caggiula, 21g (T-3rd in NCAA in game-winning goals with 7), 25a -- 46 pts; So. F, Nick Schmaltz, 10g, 34a (T-3rd in NCAA in assists per game with .97) -- 42 pts; Jr. D, Troy Stecher, 8g, 20a -- 28 pts; So. G, Cam Johnson (Mike Richter Award finalist), 22-4-2 (2nd in NCAA in win percentage), 1.67 GAA (2nd in NCAA), .934 SV PCT (T-6 in NCAA). The Pioneers are 11th in the NCAA in scoring offense, netting 3.30 goals per game and are 13th in the nation in scoring defense, allowing 2.30. Denver's special team play is around average in the country. The Pioneers are 23rd in power play at 19% and 31st in penalty kill at 82%. DU's Pacific Rim Line of Danton Heinen, Dylan Gambrell and Trevor Moore have notched 48 goals on the season, accounting for 36.4% of the team's goals. The Pios are undefeated on the year when leading after two periods (21-0-2), but have not won a game (0-6-2) when trailing heading into the final frame. The Green and White are 7th in the NCAA in scoring offense with a 3.64 goals per game average and are 2nd in the NCAA in scoring defense, allowing just 1.86 goals per game. North Dakota is 21st in the NCAA in power play, converting 19.5%, but are much better on the penalty kill, stopping 86.4% of opponent's power plays which is T-6 in the nation. UND leads the NCAA in plus/minus with a +64. The CBS line of Drake Caggiula (+41), Brock Boeser (+38) and Nick Schmaltz (+39) are slated 1st, 3rd and 2nd nationally. Just like the rest of the remaining teams in the Frozen Four, UND is undefeated when leading after two periods (25-0-3) this season. The Green and White have not lost a game in 74 chances when taking a lead into the third period. 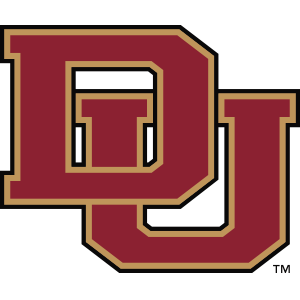 Denver (25-9-6) dispatched Boston University 7-2 and Ferris State 6-3 in the West Regional in St. Paul. The Pioneers have lost just twice in 24 games since the Christmas break. UND (32-6-4) punched their ticket to the Frozen Four for the third-straight season with a 6-2 win over Northeastern and a 5-2 victory over Michigan in the Midwest Regional in Cincinnati. So. G, Cam Johnson took home tournament MVP honors. The Green and White are 8-1-1 in their last 10 games. There's your look at the second semifinal. 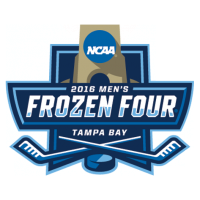 Check back tomorrow for DDC's picks of both Frozen Four semifinals. Thanks for reading. Labels: Amalie Arena, Brock Boeser, CBS line, Danton Heinen, Denver, Drake Caggiula, Dylan Gambrell, Frozen Four, Nick Schmaltz, Pacific Rim Line, Tampa, Trevor Moore, UND men's hockey, Who? What? How? Four teams remain alive for their ultimate dream. The storyline in the first Frozen Four semifinal on Thursday is simple. It's college hockey royalty versus the new kids on the block. It's a team who's success in the last decade plus is unrivaled versus a team looking to stamp a permanent name on the college hockey landscape. It's the Boston College Eagles versus the Quinnipiac Bobcats for the right to play for the national championship. While BC brings the pedigree of five national titles, four since 2001, Quinnipiac is the No. 1 overall seed and has been at or near the top of the rankings, losing just three times all season. 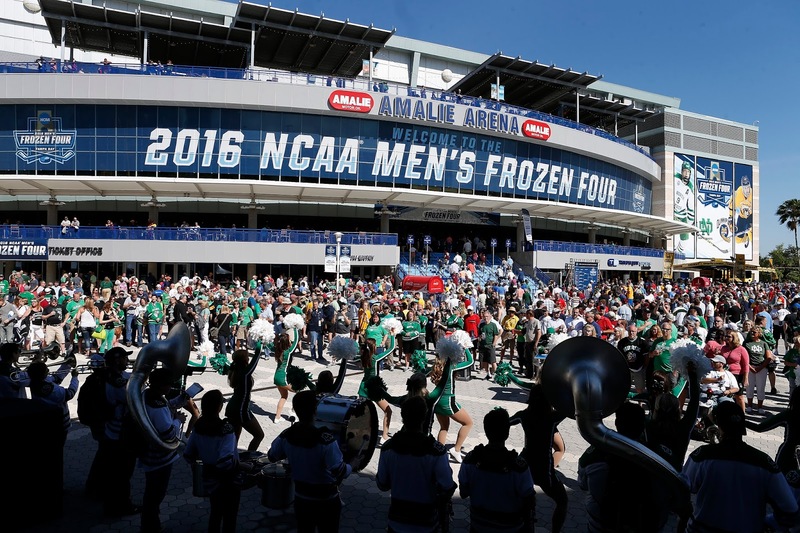 Here's a deeper look at the first Frozen Four national semifinal from Amalie Arena in Tampa in DDC's "Who? What? How?" breakdown of the Bobcats versus the Eagles. Jr. F, Sam Anas, 24 goals, 26 assists -- 50 points; Sr. F, Travis St. Denis, 22g, 24a -- 46 pts; Jr. F, Tim Clifton, 18g, 23a -- 41 pts; So. F, Landon Smith, 11g, 25a -- 36 pts; Jr. D, Devon Toews, 7g, 23a -- 30 pts; Jr. D, Connor Clifton, 7g, 20a -- 27 pts; Sr. G, Michael Garteig, 31-3-7 (1st in NCAA in winning percentage), 1.83 goals against average (5th in NCAA), .926 save percentage; 8 shutouts (2nd in NCAA). Jr. F, Ryan Fitzgerald, 23g, 23a -- 46 pts; Fr. F, Colin White, 19g, 23a -- 42 pts (4th in NCAA in rookie points per game, 1.17); So. F, Zach Sanford, 13g, 26a -- 39 pts; Fr. F, Miles Wood, 10g, 25a -- 36 pts; So. 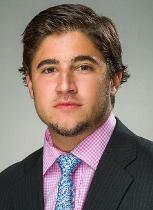 F, Alex Tuch, 17g, 16a -- 33pts; Fr. D, Casey Fitzgerald, 4g, 22a -- 26pts; Jr. G, Thatcher Demko (Hobey Baker Hat Trick Finalist, Mike Richter Award Finalist), 27-7-4, 1.85 GAA (7th in NCAA), .936 SV PCT (4th in NCAA), 10 shutouts (1st in NCAA). The Bobcats own the nation's fourth-best scoring offense, averaging 3.88 goals per game and has the fifth-best scoring defense, allowing just 1.90. Quinnipiac's special teams are also near the top in the NCAA with the nation's fourth best power play at 27.4% and third-best penalty kill at 89.3%. Junior netminder Michael Garteig is No. 1 in the NCAA in winning percentage (.841) and second in shutouts (8). The Bobcats are undefeated on the season when leading after two periods, going 26-0-2 and are 24-2-4 when scoring first. The Eagles sport the nation's 5th-best scoring offense with 3.85 goals per game and are seventh in scoring defense at 1.98. BC has racked up the fifth-most penalty minutes in the NCAA, averaging 14.4 per game, but are tremendous on the kill with the 4th-best PK at 87.9%. Their power play sits at ninth in the NCAA at 21.5%. Junior netminder Thatcher Demko has racked up an astonishing 10 shutouts on the year en route to a Hobey Baker Hat Trick finalist season. The Eagles are also undefeated when leading after two periods (23-0-2) but are just 1-2-3 when trailing entering the third period. 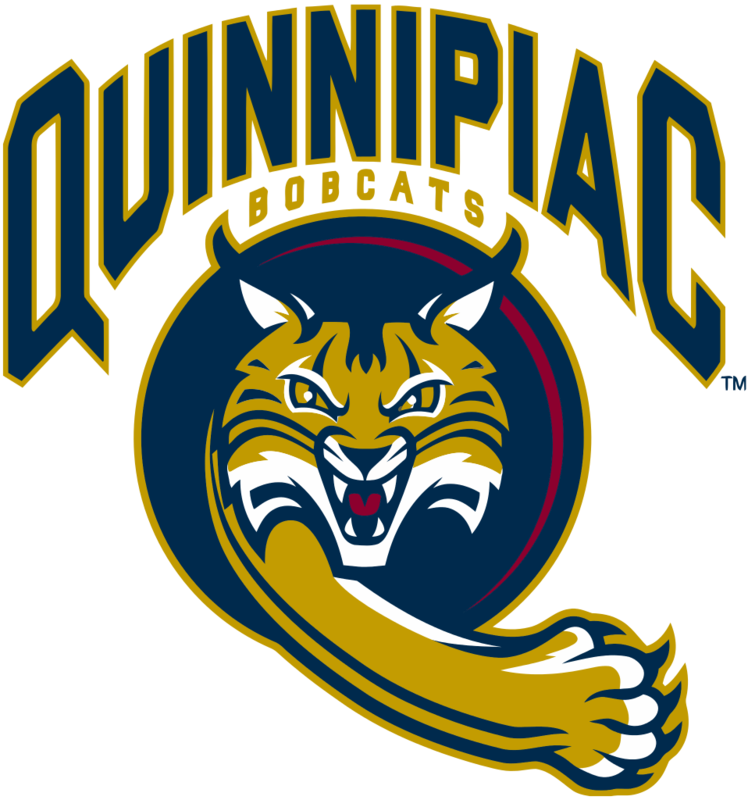 Quinnipiac (31-3-7) rolled through the East Regional in Albany, N.Y., beating RIT 4-0 and UMass Lowell 4-1. The Bobcats are 8-1-1 in their last 10 games. 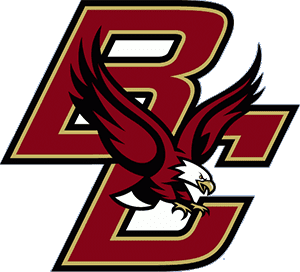 Boston College (28-7-5) won the Northeast Regional in Worcester, Mass., beating Harvard 4-1 and surviving a late push by Minnesota Duluth, winning 3-2. There's your look at the first semifinal. Check back tomorrow for DDC's breakdown of Frozen Four semifinal No. 2, Denver versus North Dakota. Thanks for reading. Labels: Amalie Arena, Boston College, Frozen Four, Quinnipiac, Sam Anas, Tampa, Thatcher Demko, Who? What? How?